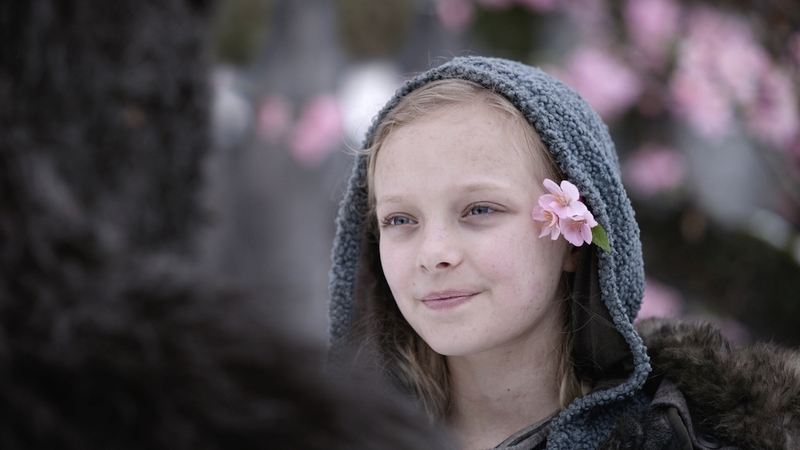 War for the Planet of the Apes is part of My Summer of Summer Movies, in which I am attempting to see and review every movie that opens (in Chicago) between Memorial Day and Labor Day. Read all about this ill-advised plan here. And, for about half of my viewing, I was prepared to believe that War for the Planet of the Apes might in fact be a great movie. The third-film in 20th Century Fox’s rebooted Apes universe—after Rise of the Planet of the Apes (2011) and Dawn of the Planet of the Apes (2014)—War is a stunning technical achievement, boasts some strong emotional content, and manages to be a fair amount of fun. But then, about halfway through the film, I asked myself a dangerous—and, as it turns out, disillusioning—question: What would I think of this movie if it starred people instead of apes? Suddenly—like Wile E. Coyote making the mistake of looking down after wandering out into open air—the bottom instantly fell out of my viewing experience. I realized that if you take away the novelty of the technology—which, make no mistake, is breathtaking—War for the Planet of the Apes is a decent but painfully derivative adventure film, and frankly a bit of a slog. As War for the Planet of the Apes opens, it is five years since the events of Dawn, and fifteen years since the outbreak of Simian Flu (in Rise) brought about the collapse of human civilization and the ascendancy of ape culture. Aging ape-leader Caesar (Andy Serkis) and his brethren are living in the woods of Northern California: they just want to be left in peace, but they are constantly fighting off attacks from a human military unit called Alpha-Omega, under the command of Colonel McCullough (Woody Harrelson). Tired of fighting, and afraid for their lives, some of the apes are beginning to question Caesar’s leadership, and a few have even seceded to the human side, where they are labeled “Donkeys” (as in “Donkey Kong”) and treated as slaves. To ensure the survival of ape-kind, Caesar is preparing to fulfill his destiny as Monkey Moses and lead his people through the desert to a far-off promised land. But then a devastating sneak attack on the colony by Col. McCullough and his men leaves Caesar more interested in personal revenge than public leadership. Caesar sets off in pursuit of The Colonel, accompanied by a handful of his closest friends and advisors, including major domo orangutan Maurice (Karin Konoval), deputy-chimp-in-charge Rocket (Terry Notary), and gorilla muscle Luca (Michael Adamthwaite). Along the way, they pick up a mysteriously mute little human girl (Amiah Miller)—who forms a particular bond with the gentle Maurice—and a frazzled comic-relief sidekick who believes his name (granted to him by zoo handlers) is “Bad Ape” (Steve Zahn). The second thing to say about War for the Planet of the Apes is that it is, unquestionably, a masterpiece of visual effects. 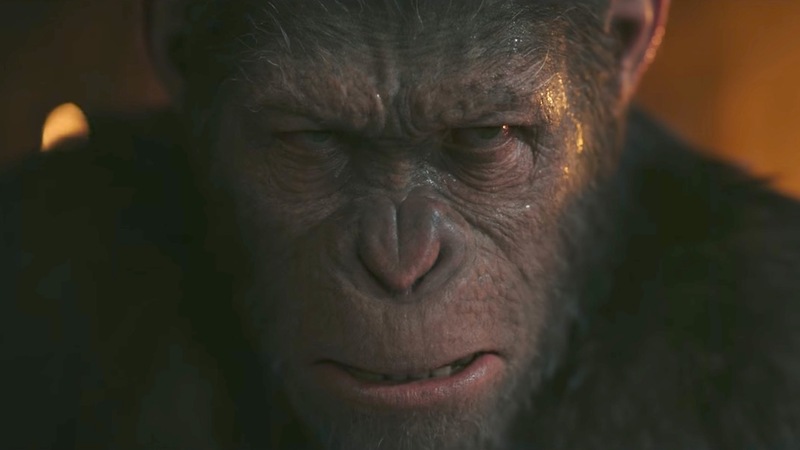 I only recently caught up with the previous film, Dawn, and—as good as the computer-generated, motion-captured apes in that film were—the technology (by special effects studio Weta Digital) has made some quantum leaps in the intervening three years. In Dawn (and other earlier motion-capture films) we were apt to spend the film marveling at how realistic the CG characters were: here, we are apt to completely forget they are computer-generated at all. Particularly in the all-important area of facial expressions, War’s characters allow for a fidelity of performance that is nothing less than stunning. Reeves demonstrates absolute faith in the technology—favoring a lot of very tight close-ups for his simian actors—and it invariably pays off: the actors (particularly Sirkis, who is to this new art form what Rénee Jeanne Falconetti was to celluloid acting) are able to imbue their creations with incredible emotional subtlety and nuance. I am being hard on War for the Planet of the Apes, but I couldn’t help but feel there were tremendous opportunities missed to make a genuinely great movie. In this third film in this franchise—and the first in which the verisimilitude of the CG characters is absolutely flawless—where is the exploration of this now 15-year-old ape culture? (I would rather have stayed with the colony, learning how the ape civilization really operates—and how it differs from human society—than follow Caesar and his Primate Posse on an all-too familiar revenge story.) Could we not have focused on Caesar’s continued evolution as an ethically conscious but compromised leader—which seemed to be promised by the end of Dawn—rather than reducing him to a grim, one-note Clint-Eastwood-type avenger? And, similarly, I would have preferred to have seen an adversary in Harrelson’s character who was not a genocidal psychopath, but a good man facing the imminent extinction of his own species: the reality of this universe is that humankind is on its way out, and that’s a far more interesting ethical and existential dilemma to explore—with potentially valid and complex concerns on both sides—than the almost mustache-twirling villainy the Colonel embodies here. War seems to go out of its way to strip the most interesting and promising elements out of this scenario, reducing the story to one that is disappointingly generic. What it boils down to, for me, is that—for all its superficial allusions and emotional feints—I don’t think War for the Planet of the Apes, or this entire franchise, is really saying anything. It is an unmistakable watershed in special effects, and it makes for a passable enough summer action movie, but it’s nowhere near being the sort of great and important science fiction film that the original Planet of the Apes was. The technology is there like never before: it would be nice to see writing that rose to the same level of artistry.